Asus invited us to their headquarters to take a look at all the shiny new monitors that they’re bringing to market for 2019. 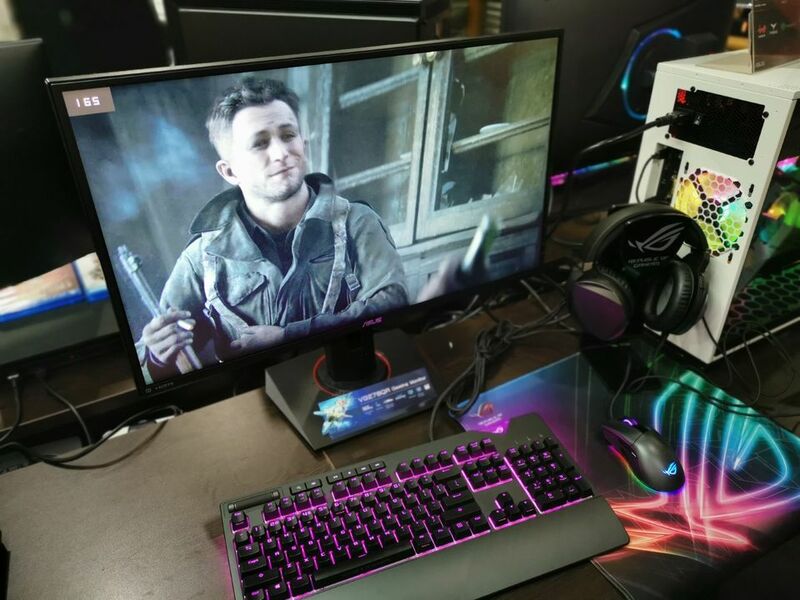 Let me tell you outright – if you’re very particular about gaming and require the finest response from your gear then Asus has got you covered with an unbelievable 0.5ms response on an almost imperceptible 165Hz gaming monitor. That’s not all though, among those displayed are options that would allow for vast configurations, even single monitor ones, that is an equivalent of three (3) monitors side by side! 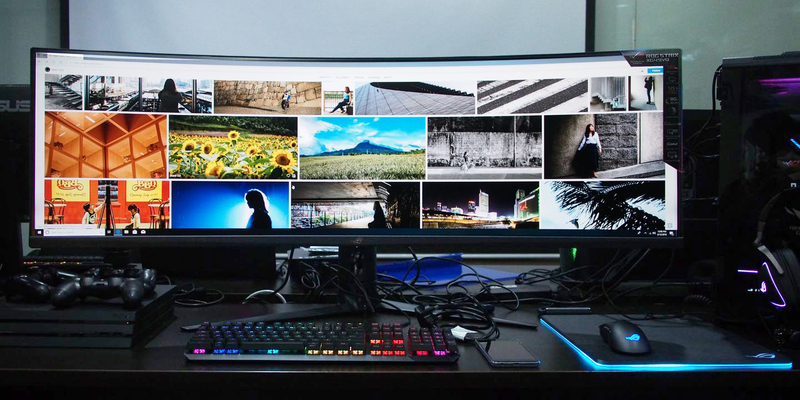 Your current desk space will probably not be able to handle it… it’s that long! 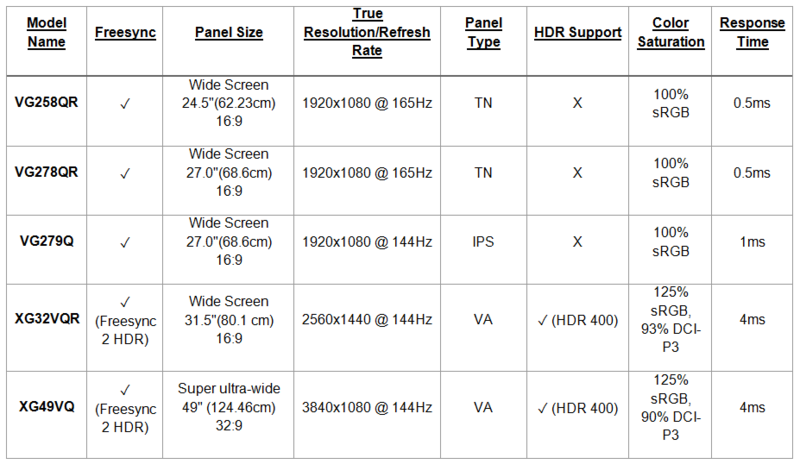 If detail is much more your style, they’ve got HDR options on their larger panels pushing a very respectable 144Hz at 4ms response rate compared to their newer contemporaries. Specifications and better detail regarding the launch after the jump. – New HDR models include ROG Strix XG32VQR and the Dual Full HD ROG Strix XG49VQ, both with excellent color reproduction and high refresh rates. 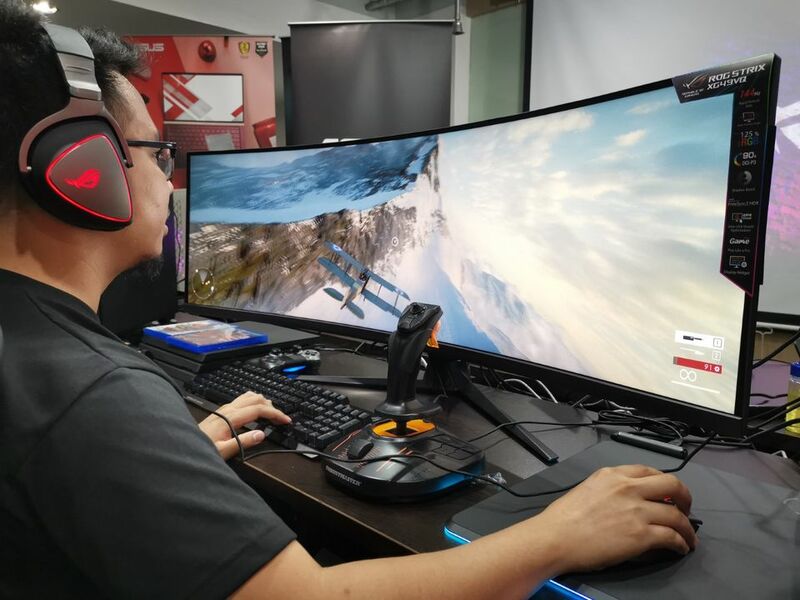 MANILA, Philippines, March 13, 2019 — ASUS today showcases their latest gaming monitors in an exclusive media gathering in their Philippine office. With screen resolutions getting bigger and refresh rates becoming demanding, ASUS highlights several key models focused on faster monitor speeds together with larger screens coupled with innovative display features. 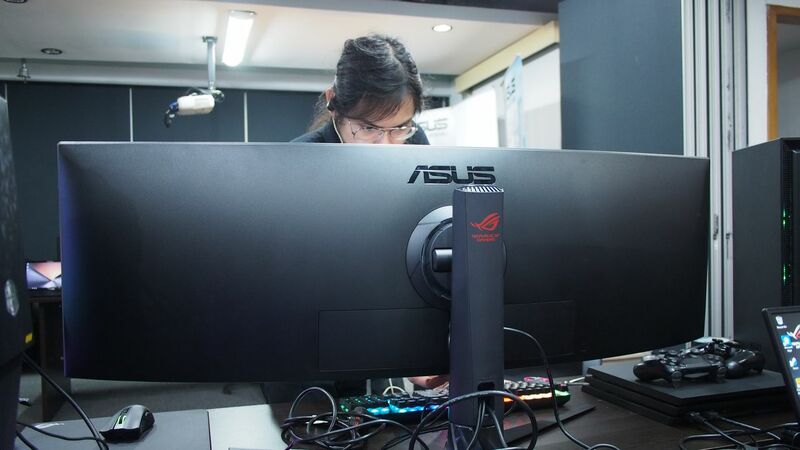 These trends pushes ASUS’ development of new monitors adding features on its LCD displays such as 0.5ms, HDR, FreeSync 2, and IPS displays with high refresh rates. This 2019, ASUS is pushing everything to be bigger and faster! Starting off with the fast ASUS lineup are the VG258QR and VG278QR equipped with a 165Hz refresh rate and industry-leading 0.5ms response time. Another monitor on display is the VG279Q with an IPS display and a fast refresh rate of 144Hz; a feature unique seen to this gaming monitor. These monitors eliminate screen tearing with Radeon’s FreeSync™, minimize blurring in fast-paced games with Extreme Low Motion Blur (ELMB), and gives advantage in MOBA games with ASUS’ MOBA mode which highlights health bars’ color on certain MOBA games. Opening the large monitor segment is the ROG Strix XG32VQR. Building from its older iteration, it now incorporates DisplayHDR™ 400, 144Hz refresh rate, 125% sRGB, and AMD’s new iteration of its adaptive sync technology, FreeSync™ 2 HDR. These two features go hand-in-hand to deliver rich in-game colors, wide black and white tones, and screen tear-free games. To cap things off, ASUS’ first Dual Full HD (DFHD) LCD monitor, the ROG Strix XG49VQ. See more and do more with a resolution of 3840×1080, enough for 3 simultaneous devices to be plugged and displayed into the monitor. It’s also a content creator’s dream display, featuring a panel rated to have a 90% DCI-P3, 125% sRGB, and DisplayHDR™ 400, pumping out excellent colors and richer contrast. FreeSync™ 2 HDR also eliminates tears on fast-paced games. The ASUS VG258QR, VG278QR, and the VG279Q are already available from partner retailers and are priced at 16,580 PHP, 17.770 PHP, and 22,510 PHP, respectively. 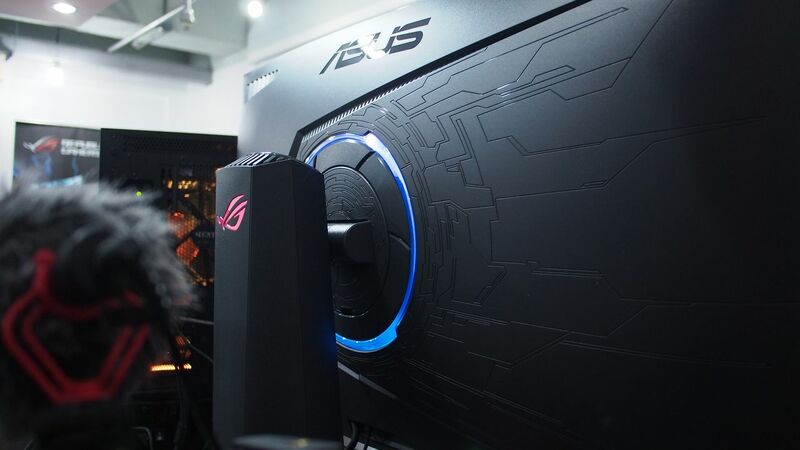 The ROG Strix XG32VQR is priced at 35,850 PHP while the ROG Strix XG49VQ’s is at 65,270 PHP, which will be available locally by April 2019.